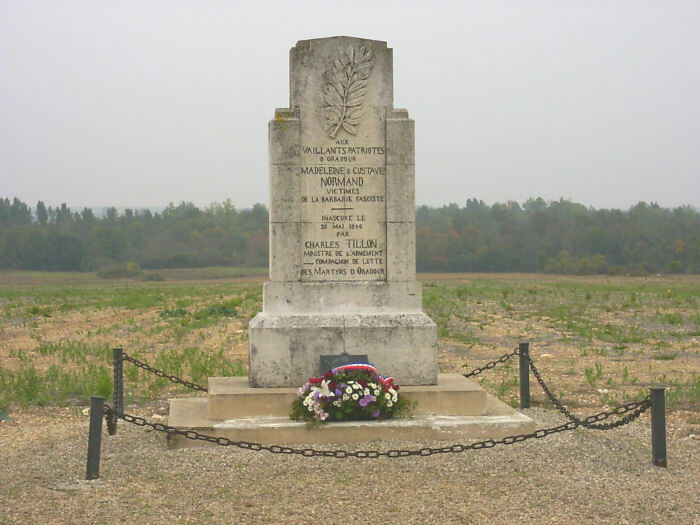 This memorial to "Our gallant patriots Madeleine & Gustave Normand" is on the D67 about 400 metres to the east of Oradour. Curiously it does not give a date for their deaths, only for the erection of the monument (26 May 1946). It can be seen that not just Oradour-sur-Glane suffered from Nazi brutality during the war years and that the name of Oradour does seem to carry something of a curse. Oradour itself lies to the left of this view (the west).